The Hobart Building is located at 582�592 Market Street in San Francisco and was completed in 1914. This building was designed by Willis Polk and stands 285 feet tall with 21 floors. 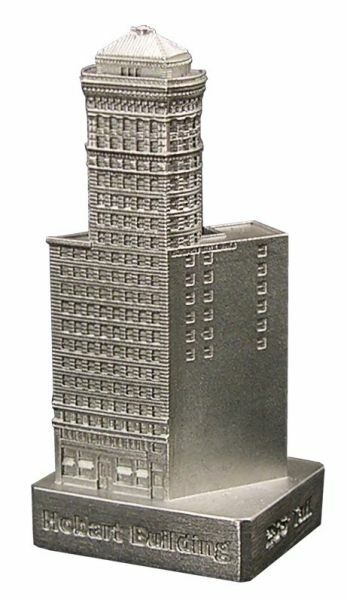 This pewter replica stands 3-1/4 inches tall and is finished in new pewter. This model's scale is 1 inch = 100 feet. For more pics and info check out our blog.